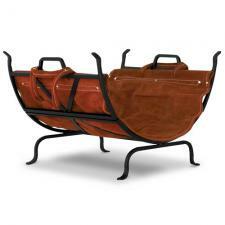 Black Wrought Iron Log Holder with Leather Carrier. * Very nice quality for this price range. *Measures 14" H x 22" W x 13" D.